Waltercio Caldas’s work is about a certain degree of wonder as he creates a marvellously deceptive thought for the artistic object. ‘Caldas gently mocks the expectations of the viewer. As with Duchamp, he generates ‘a new thought for the object’’. (Guy Brett, ‘Taking Liberties’, Waltercio Caldas in Conversation with / en Conversación con Ariel Jiménez, published by Fundación Cisneros). Caldas is an artist who, with every piece produced since the 1970s, gets closer and closer to a certain abstract emptiness — a silence. Critics describe him as an artist who does not create objects but rather creates the space between objects. 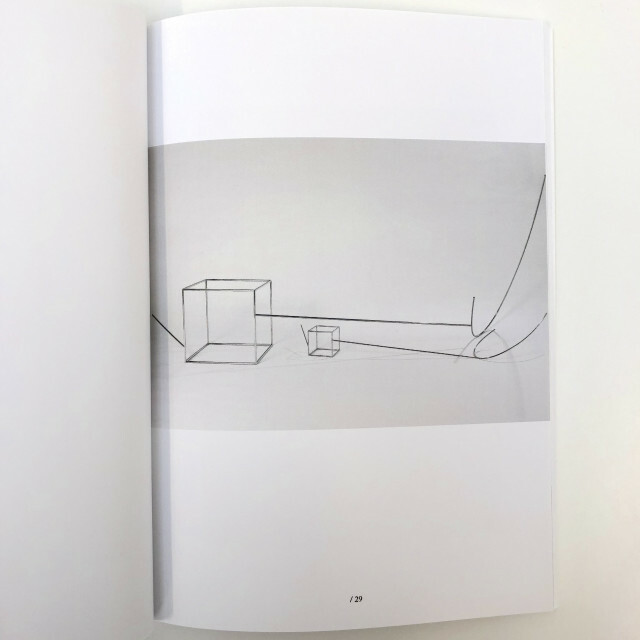 Experiencing an exhibition by Waltercio Caldas is to feel this invisible content — a sensation that can be as corporeal and ethereal as it is intellectual. Every piece is intended to capture and work with all the space potential that surrounds it as he uses it to explore those complex relationships of within and without. On first encounter, and in a purely stylistic sense, Waltercio Caldas’s work might be defined to an international audience as minimalist. But this definition wouldn’t be apt. Importantly the context of the work was not New York but Rio de Janeiro. The intellectual rigour behind the young artist was shaped by the mentoring of Ivan Serpa rather than the “what you see is what you get” of the North Americans. 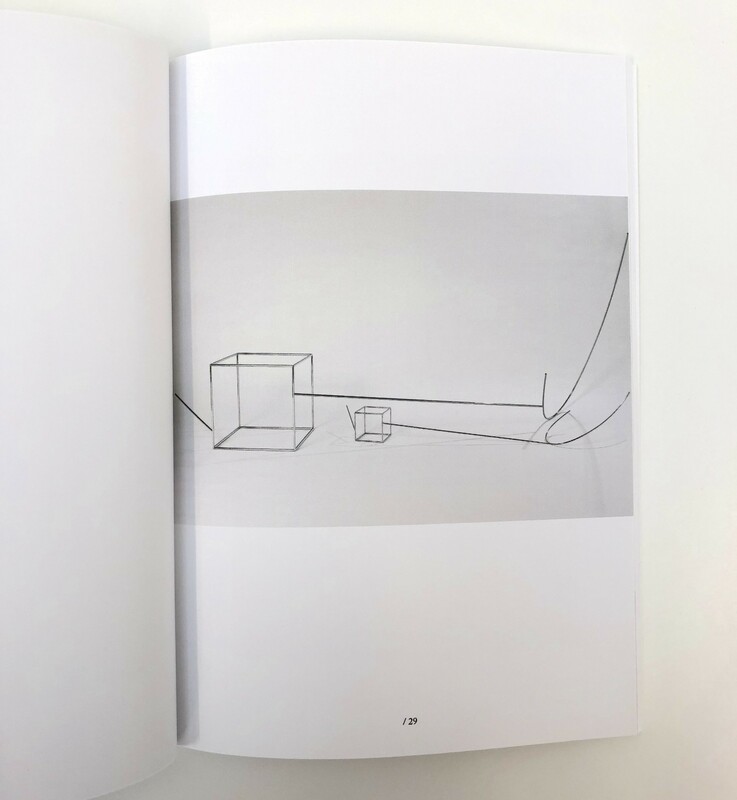 Caldas is more interested in the space between the objects and the complex games enunciated by those empty spaces than the linear progression of reduction of the North Americans. For this exhibition at Cecilia Brunson Projects, the works have been hand-picked and arranged by the artist. Caldas has selected works made during the last ten years of production, which includes nine drawings and two wall sculptures. These works essentially deal with shifts of perspectives, an interest that is at the crux of the artist’s practice. Equally, Waltercio Caldas is an artist whose work is known for being difficult to trace chronologically in terms of artistic production. A work produced in the 70s sits comfortably alongside a work produced last year. This exhibition is a reflection of that spirit. Together these works negate the notion of linear progression as they sit at ease and without interruption alongside each other. We have reprinted Robert Storr’s essay “The Mirage Maker” for this catalogue. 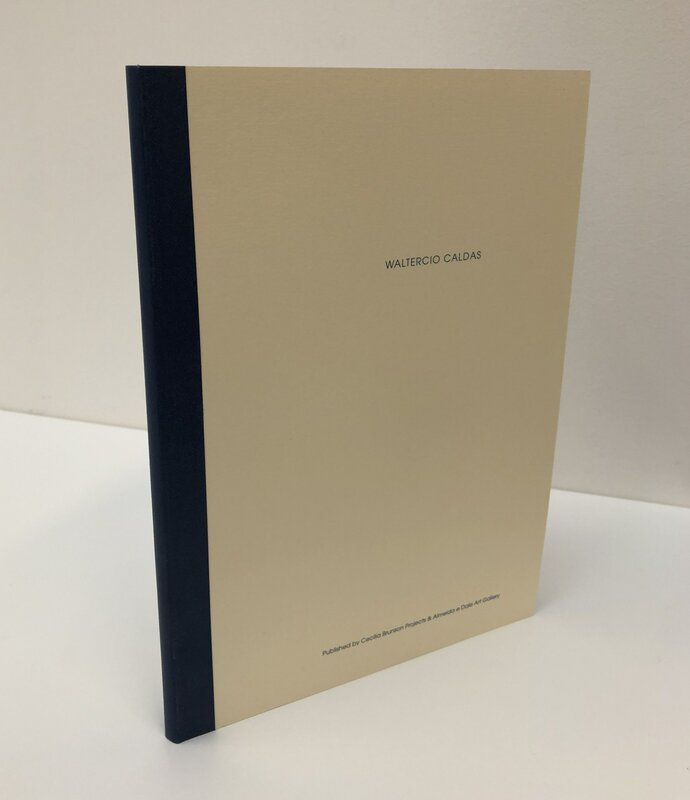 This important piece of writing was commissioned by the Blanton Museum and was published in 2013 to commemorate Waltercio Caldas’s first monographic exhibition in the United States. Our aim in reviving this essay is to help us re-think and understand Waltercio Caldas vis-à-vis his North American counterparts. Caldas’s work is deeply personal. In it, he explores many complex issues, such as the uncanny and perspective. Yet it is also infused with humour. Continuing with this, we have asked Sofia Gotti to help us further understand the specific context of where he produces his work, of how Waltercio Caldas’s work could not have been produced anywhere else but in Rio de Janeiro. We are deeply grateful to Robert Storr, Beverly Adams and the Blanton Museum of Art, the University of Texas Press and Sofia Gotti for allowing us to bring these two texts together and to add to the discourse around the works on show. 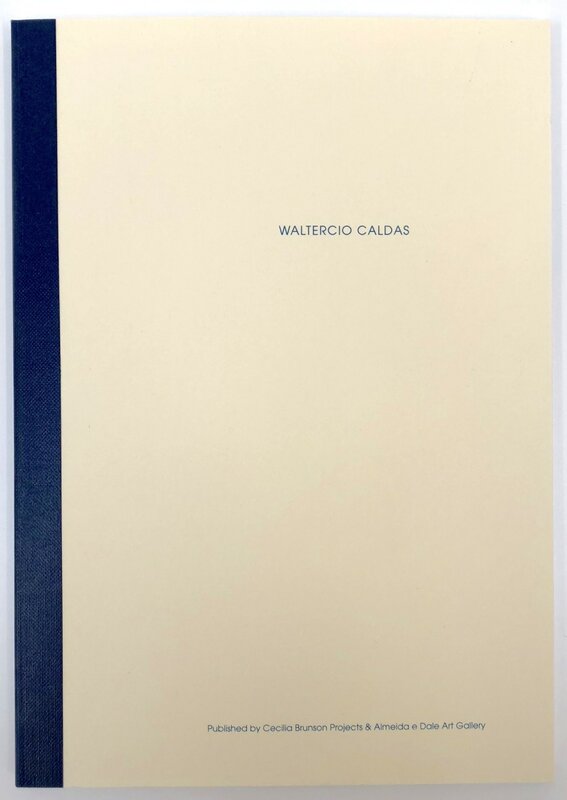 We are also honoured to be presenting, in conjunction with the exhibition, the recent publication “Waltercio Caldas in Conversation with / en Conversación con Ariel Jiménez” published by the Fundación Cisneros/Colección Patricia Phelps de Cisneros (2016) and to have the opportunity of hearing the artist speak with long term colleague Gabriel Pérez-Barreiro at the gallery in London. If there is one other thing that Waltercio Caldas is known for, it is his articulation. He resists many of the stereotypes constantly used by the art world to describe art and he can unpack this kind of thinking in a marvellously erudite and poetic way. Our thanks to Gabriel Pérez-Barreiro for giving the London audience this opportunity. The first solo exhibition of Waltercio Caldas in London could not be introduced without mentioning Guy Brett. He has been one of the most thoughtful and sensitive writers on the artist through the years. Launching the Fundación Cisneros’s book on Waltercio Caldas in England where Guy Brett has written the introduction, cements this history and relationship. This exhibition would not be possible without the help of our wonderful partners in Brazil, Ana, Carlos and Antonio at Galeria Almeida e Dale. Equally important in the production of this exhibition, our thanks go to Paulo Darzé for all his help throughout the entire process of bringing the exhibition to life. It is the support and encouragement of galleries like his that enables artists to produce the best of their works.